Whether on a field trip or in the classroom, Aim High Name Tags provide a fun and easy way to organize. 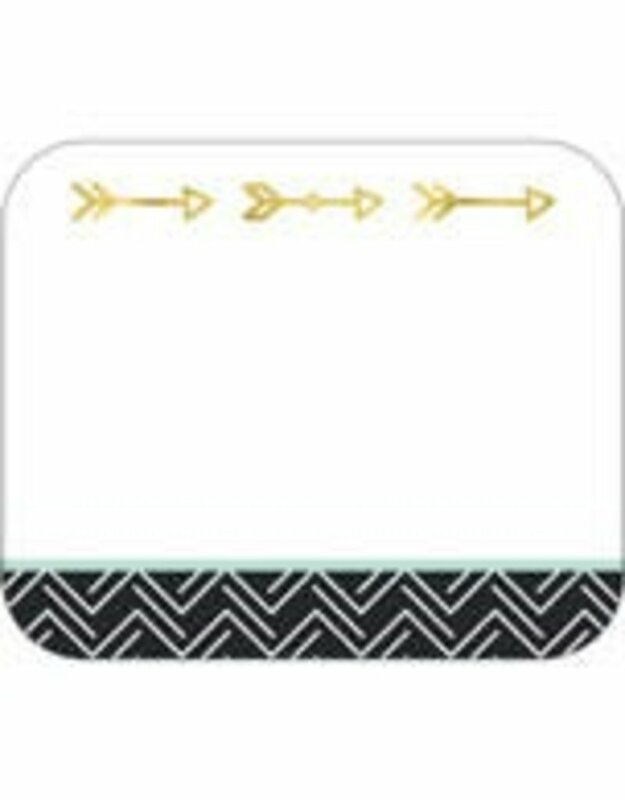 The pack includes 40 self-adhesive name tags—each measures 3" x 2.5" and features three gold arrows and a black-and-white design. --Make sure everything stays in order with Carson-Dellosa’s stylish name tags. Available in a variety of colors and themes, the self-adhesive name tags are perfect to label storage boxes, folders, cubbies, and shelves. Create a contemporary classroom by checking out coordinating Aim High products.